It can be difficult to keep track of what needs to be done to your HVAC to keep it in tip-top shape all year round. For instance, did you know that HVAC maintenance should be done with each change of season? Not many people are aware of what will help you get the most out of your HVAC. 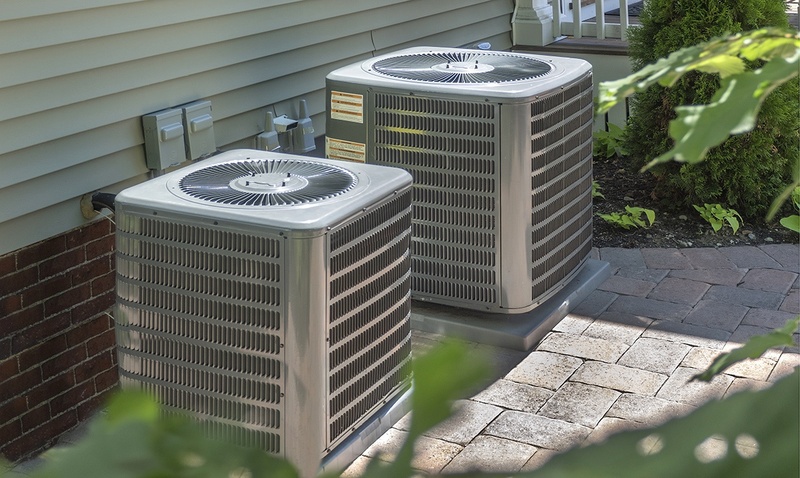 To help you care for your heating and cooling system, Moss Building & Design has created an HVAC Maintenance Checklist that you can use during the spring and fall. 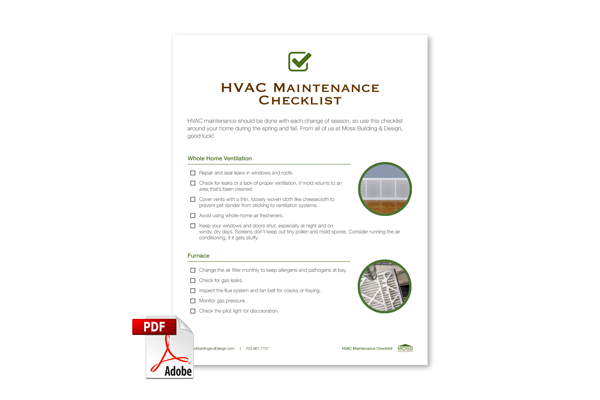 Make sure your HVAC system is properly cared for by filling out the form on this page and downloading the guide. © 2019 Moss Building & Design. All rights reserved.